Practice Areas | Brewton Plante, P.A. Brewton Plante, P.A., provides its clients with a broad array of legal services to meet each client’s expanding legal needs. Brewton Plante, P.A.’s team of distinguished legal and governmental affairs consultants are recognized as professionals who can lead you through the intricacies of each diverse area of law. With the firm located just steps from the State Capitol, Brewton Plante, P.A. is able to efficiently represent its clients’ interests before the State Legislature and the Executive Branch of state government. Having experience in appointed state offices and having held numerous state government positions, including serving as general counsel to several state agencies, Brewton Plante, P.A.’s team is exceptionally qualified to provide representation in a myriad of regulatory areas. Brewton Plante, P.A. provides representation in the areas of State Tax Law, Licensure of Professionals, Beverage Licensing, and Gaming Licensing, to name a few. Brewton Plante, P.A. is committed to assisting clients with the interpretation of rules and statutes administered by state agencies. Administrative Law issues at the state level involve permitting, licensing and related matters, including Appellant practice. Appeals are a unique form of litigation, which require a distinct set of skills, including solid legal analysis, brief-writing abilities and oral argument skills. Brewton Plante, P.A. has extensive experience in representing clients in civil appeals, as well as appeals under Florida’s Administrative Procedures Act (Chapter 120, Florida Statutes), including experience in evaluating the lower court record in civil, administrative and regulatory matters; analyzing the possible appellate forums and legal issues; drafting briefs in plain language; and preparing for oral arguments. Having served as counsel of record in cases argued before the U. S. Supreme Court, the 11th Circuit Court of Appeals, the Florida Supreme Court, and all five Florida District Courts of Appeal, Brewton Plante, P.A.’s team of seasoned legal professionals are committed to serving its clients in the area of Appellate Law. Under Appellate Law, Brewton Plante, P.A. represents parties as an Appellant or Appellee, or in filing amicus curiae briefs in support of a particular position on appeal. As appellate counsel, the Brewton Plante, P.A. team also works closely with in-house and trial counsel to assist in matters that involve, or are likely to involve, an appeal, including creating an appropriate record and identifying and presenting legal arguments that arise in the course of administrative hearings or trials that must be preserved for proper appellate review. Its appellate attorneys have found that working closely with the client and trial counsel can result in cost savings and legal benefits to clients when appeals are filed. Through all stages of business strategy and development, Brewton Plante, P.A.’s corporate attorneys work with clients to address issues associated with the formation and operation of for-profit and not-for-profit organizations. To fully understand its clients’ businesses, visions and goals, Brewton Plante, P.A.’s team of strong legal professionals are committed to developing longstanding relationships with its clients to ensure the comprehensive scope of its practice and the team’s experience represent the needs of each client and offer solutions to daily legal and business issues. Brewton Plante, P.A.’s corporate clients include publicly-traded and closely-held businesses, governmental entities, profit and not-for-profit organizations and universities. Brewton Plante, P.A.’s governmental affairs team has been involved in major legislative issues in Florida for the past 40 years. 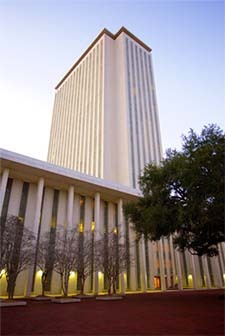 Its governmental affairs team has worked to develop and pass notable legislation relating to the creation of not-for-profit alternatives to tort litigation, privatizing the prison work programs, “tort reform” legislation, privacy and HIPPA implementation, health care legislation, and pari-mutuel and gaming issues. Brewton Plante, P.A.’s governmental affairs team also works in the area of state appropriations and taxation, where it has secured significant state appropriations for clients for a wide range of projects. Brewton Plante, P.A.’s governmental affairs practice extends far beyond legislative representation. Its governmental affairs team has also appeared before the governor, cabinet and executive agencies of state government. In addition to the strength of its legislative representation, Brewton Plante, P.A. is well-known for its work at the Executive Branch of government.